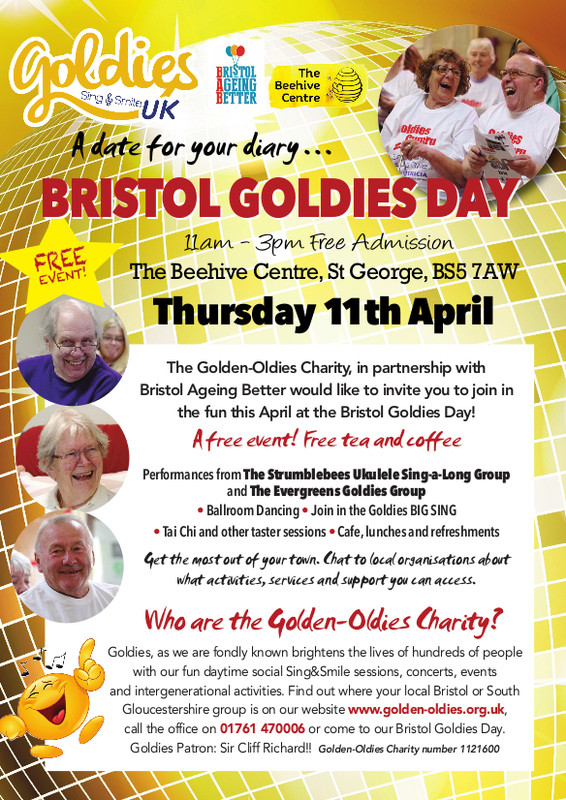 The Golden-Oldies Charity, in partnership with Bristol Ageing Better would like to invite you to join in the fun this Thursday at the Bristol Goldies Day! 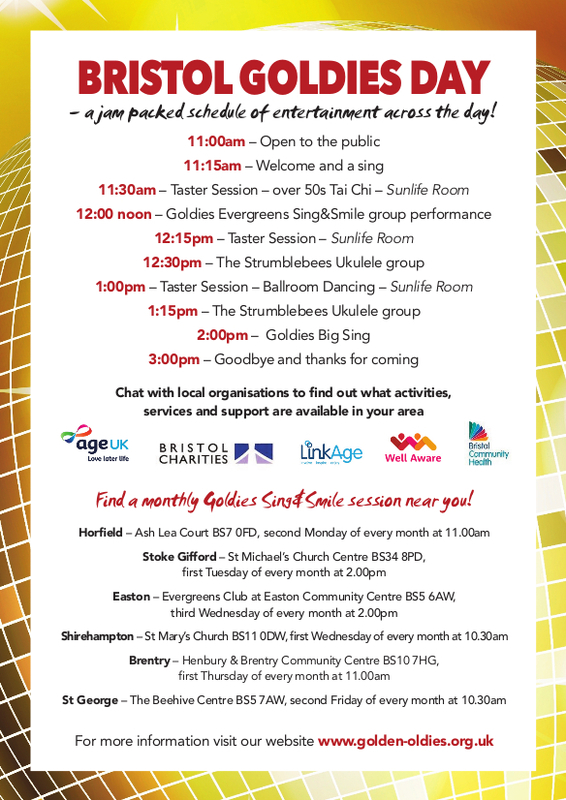 Come and join us for singing, live music and performances from The Strumblebees Ukulele Sing-a-Long Group and The Evergreens Goldies Group. You can also join in with some taster sessions of Tai Chi and Ballroom Dancing and chat to local organisations and find out what activities, services and support you can access.